I’ve waited all winter for it to snow. Just like a little kid praying for a snow day. 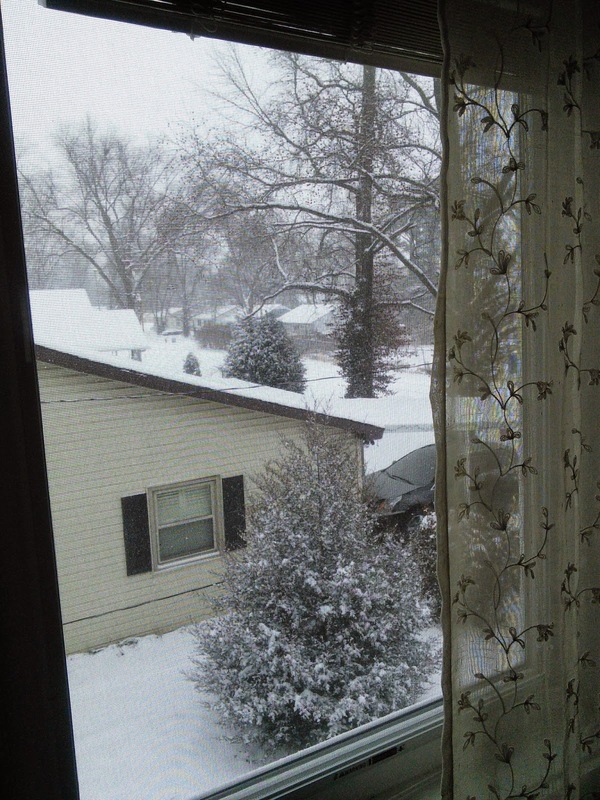 I sit upstairs in my cozy house and watch the flakes swirl to the ground. I feel empty and numb. A shell. Not fully able to receive the joy and gift of what today is. I have so much to be thankful for. So many reasons to be happy and content and full. Today marks 5 months of dating my wonderful fiancé. I could work on wedding planning. I could lay in bed and read a book. I could go outside and play in the snow with my doggie. Instead, I feel trapped. I feel discouraged. I feel disappointed in myself. I don’t exactly know what triggered the sadness or darkness, but I recognized when it fell last night. I remember the feelings of sadness and desperation at knowing how today was going to turn out. A day that could have been an opportunity to rest and be refreshed, would now instead drag me down deeper. And I woke up a bit after 1am and got sick. It just added to the sinking feeling of things moving downhill. I know that we can't let emotions run our lives. But I've spent much of my life ignoring them. Numbing myself and pretending like everything was always okay. I've made it back in bed. I'm watching the snow fall out my window. It's so pretty. There's a longing to experience the joy and wonder of a snow day. But I can only watch from my window. Feeling trapped on the inside. Feeling stuck. Feeling tired. My dog is pressed up close to me. I can hear her breathing deep asleep. My cat is downstairs playing with something on the floor. I can hear her batting it fiercely against the walls. I don't always know how to make it go away. So I do what I can to wait. Because I know the joy and peace will come again. Even if I might feel stuck at times. I try my best to not beat myself up for the moments that I'm missing. It only makes the weight heavier and the guilt deeper. I don't have the answers and I don't always understand. But I wait as best as I can.